Nintendo's Big Cheese and Top Banana is set to deliver the keynote speech at this year's Game Developers Conference in March. Satoru Iwata is no stranger to speaking before the game developers of the world. Back in 2005, his keynote speech gave us the first glimpse of the technology behind Nintendo's forthcoming seventh generation console which was codenamed "Revolution." That hardware would eventually become the Wii, and Iwata was proud of its ability to bring in new players. Last year's keynote speaker was strategy game giant Sid Meier and he shared with us all his philosophy for designing games like Civilization. 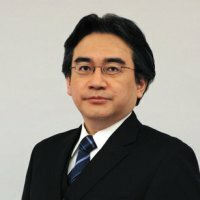 In 2011, the 25th year of the venerable Game Developers Conference, Iwata will give a speech called, "Video Games Turn 25: A Historical Perspective and Vision for the Future." GDC 2011 is scheduled from February 28th to March 4th at Moscone Convention Center in San Francisco. "We are honored and pleased to welcome Mr. Iwata back to the keynote stage for our 25th conference," said Meggan Scavio, the director of GDC. "Nintendo continues to innovate and captivate developers and gamers alike, and we're looking forward to their unique insights into both the history and future of the game business." It's a fair bet that Iwata will discuss his company's recent release of the 3DS handheld system - due out in Japan on February 26th with a subsequent release in the West. Does Iwata see 3D images as the future of videogames? Will he hint at an HD Wii, or his plans for the eighth generation of videogame consoles? Well, you'll just have to check back in March for our GDC 2011 coverage. If last year is any indication, it's going to be full of innovative new games and developers sharing their design philosophies with each other. Oh, and crazy strippers doing pole dances at industry parties.